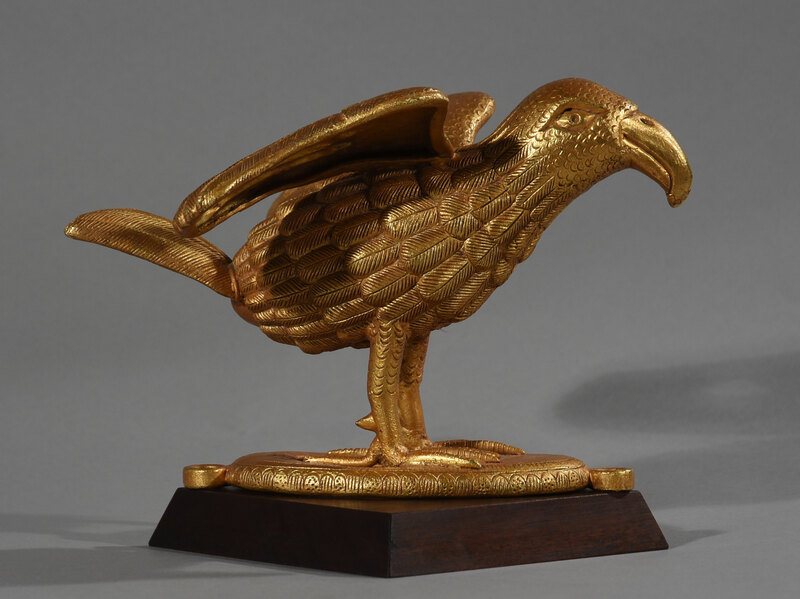 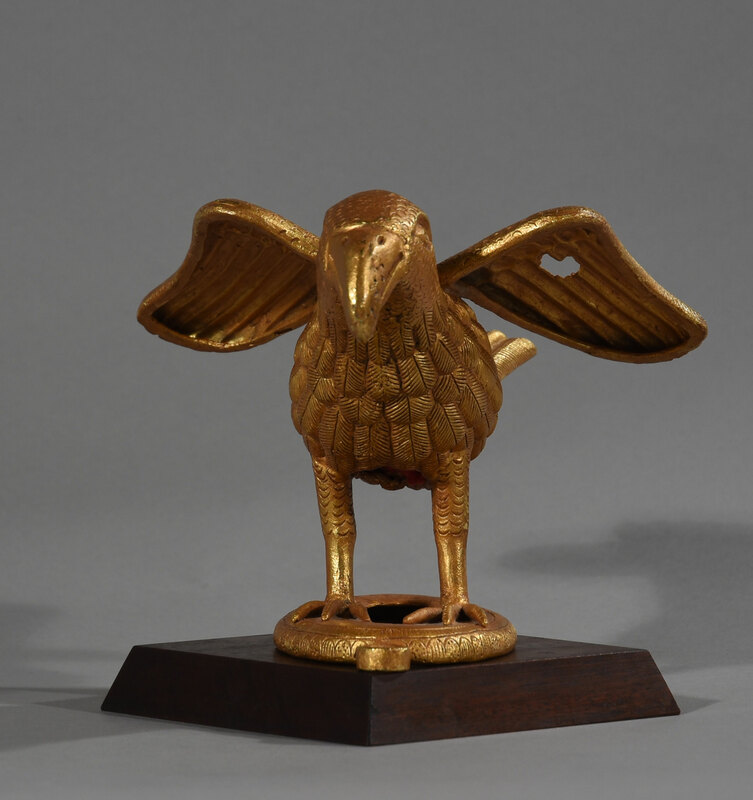 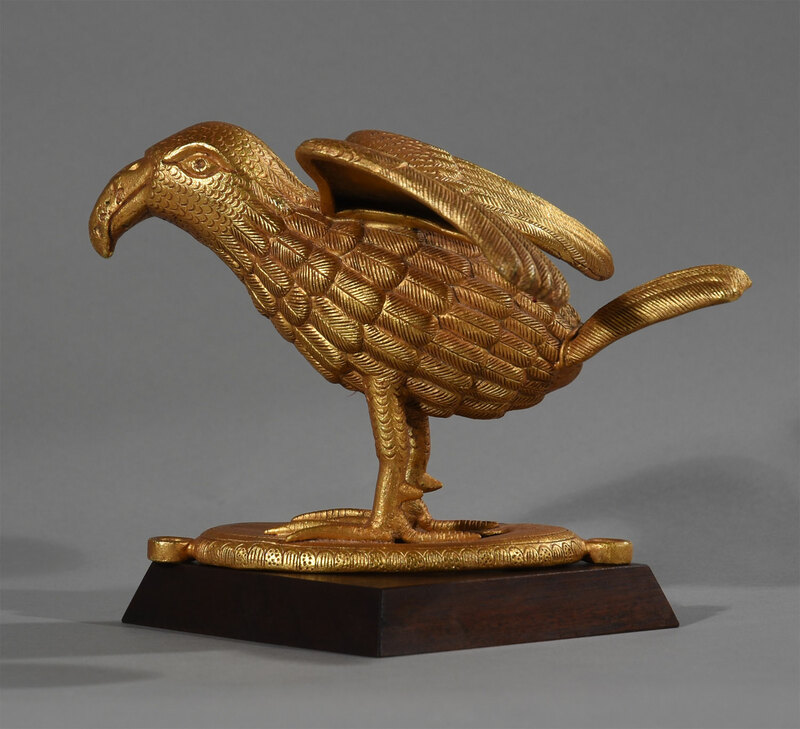 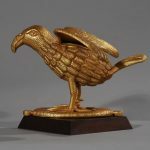 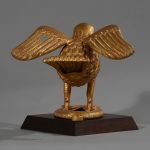 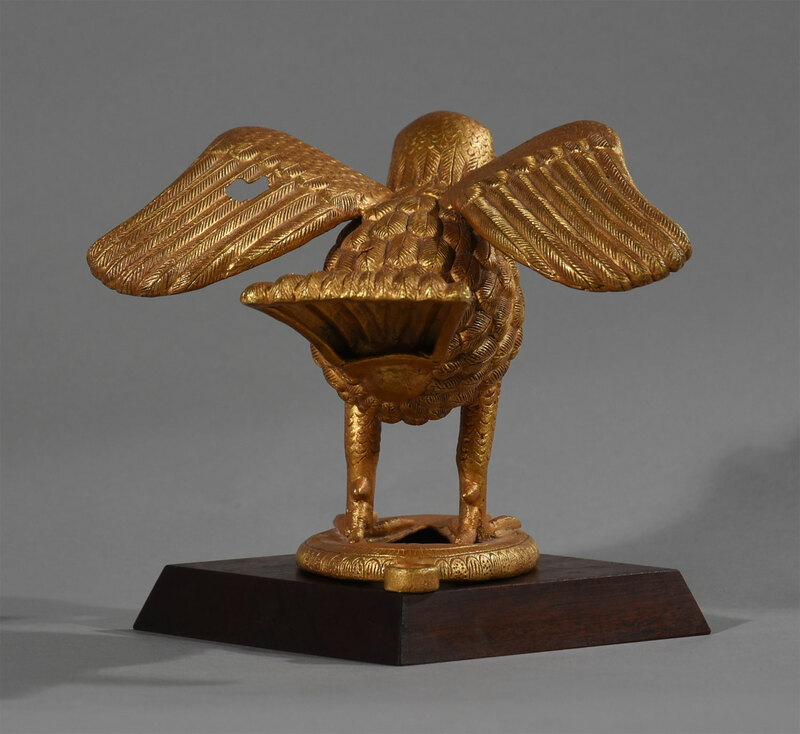 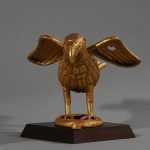 This gold-plated Ashanti bird sculpture has been used in ceremonies for Chief Akim South, Ashanti Region, Ghana. 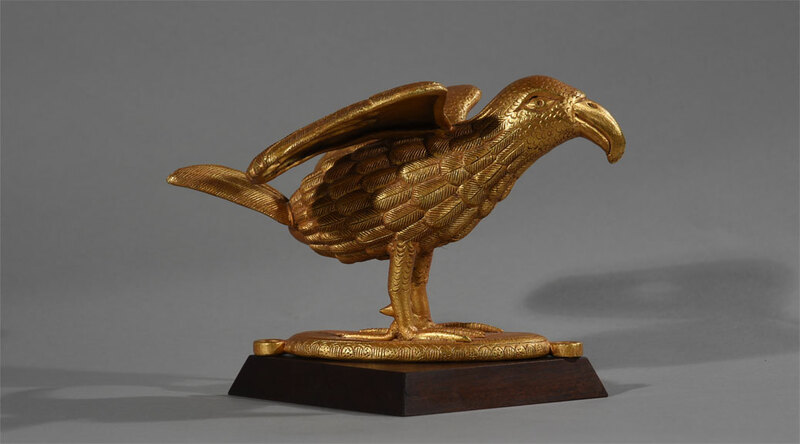 Media: Vax casted 24 carat gold-plated Ashanti bird sculpture. 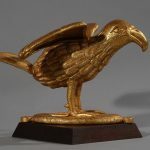 Condition: There are some minor damages in the casting in the back and the left wing.